Elon Musk is expected to tell the world about Tesla's (NASDAQ: TSLA) new home battery systems that could realistically be one of the biggest game changers in the history of energy. In the pro-free market states of Arizona and Texas, you'll only be able to buy the Tesla battery through government-approved dealerships. My friend's brother's buddy who plays guitar in a zydeco death metal band with a guy who's a service technician for Comcast, told him that the batteries are really dangerous and that sometimes they just burst into flames. It's probably going to be nothing more than a glorified golf cart. If you buy one, you'll be supporting the solar industry, and that would make you a treehugger. And treehuggers are stupid. Now make sure to forward this article to as many people as possible. We must stop this evil genius from luring us out of the stone age! 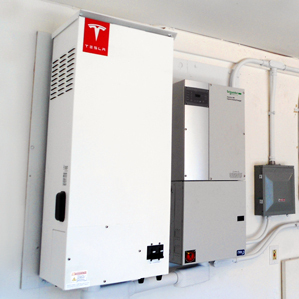 Tesla could put the outdated utility out of business. The time to invest in legalized marijuana is now. Don't sleep on this one!